It's time to decorate for the holidays, and these whimsical Skiing Snowman Christmas Stockings will make a fun addition to your holiday decor. 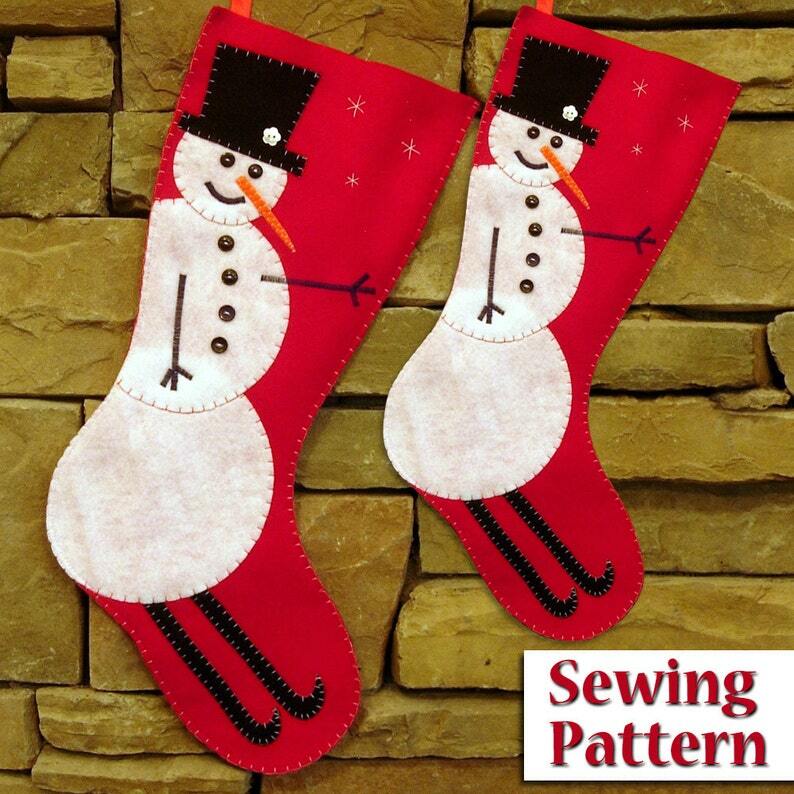 You can make your own with my pattern - there are 2 Sizes included - almost 2 feet long and almost 18 inches. The kids will love to see these filled with gifts from Santa Claus! Who can resist the cute skiing snowman!